We are able to offer reservations in weekly increments with arrivals and departures Fridays, Saturdays and Sundays. Discover the true meaning of paradise. 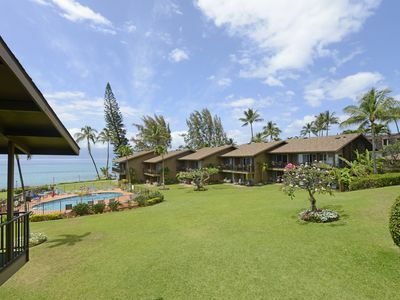 Nestled along the pristine shores of Maui, this tropical hideaway immerses you in the welcoming aloha spirit and serene landscape. 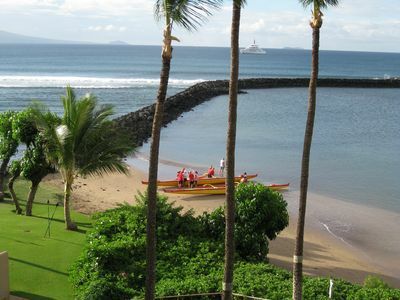 The soft sands, turquoise waters and lush rainforests set the scene for an unforgettable Hawaii vacation. From here, you can explore the island's diverse natural beauty, including dramatic volcanic craters and enchanting sea life. 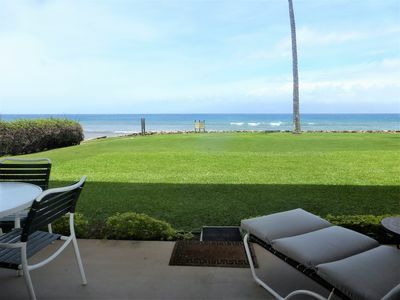 And the mild climate and ocean breezes make it the perfect place for a leisurely afternoon on the golf course or beach. 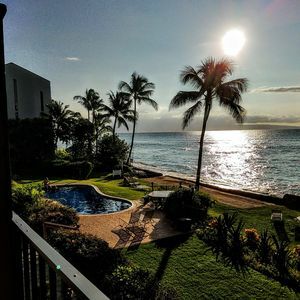 This is an ideal vacation retreat, boasting spacious accommodations and appealing amenities, including refreshing pools, eclectic dining, and snorkeling and surfing opportunities at the world-renowned Kaanapali Beach. A vacation home that feels like home. 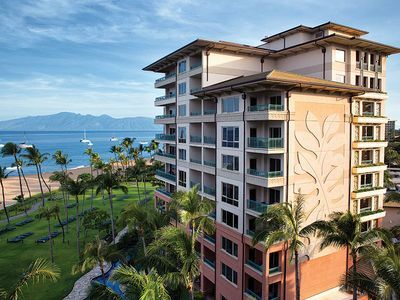 Located on beautiful Kaanapali Beach, Marriott's Maui Ocean Club invites you to experience the best of Hawaii. 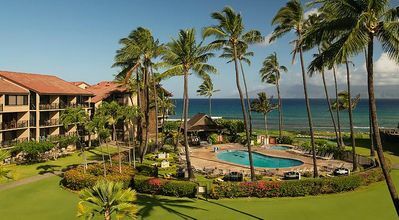 You’ll find your definition of vacation paradise here, whether you have a passion for golfing, tennis or mountain biking surrounded by spectacular scenery, or your taste runs more toward luxuriating at a lavish resort. 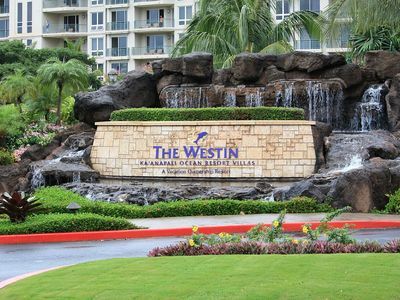 Test your game at the adjacent Kaanapali Golf Resort, which offers two championship golf courses. The convenient Beachwalk Marketplace serves breakfast, lunch and dinner. 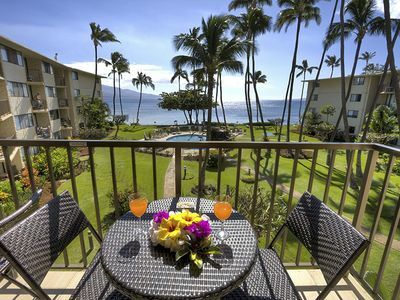 Take advantage of two pool bars and world-class restaurants a short walk away. Longboards Restaurant serves dinner every night starting at 5pm. Stay active and engaged with our tennis courts, watersports and convenient beach equipment rentals. Relax and refresh at our three pools, including a 3.5-acre super pool with slides, waterfalls and grottos. For the younger set, we offer a sandy beach with a fun pirate ship and waterslides. The VRBO calendar does help provide instant availability and estimated price quote. However, because availability and rates vary from day to day and hour to hour, the calendar feature and instant quote feature is not always 100% accurate. Please be advised that if a non-domestic credit card is used to reserve a vacation rental, additional fees may be due at the time of payment including an additional 2% credit card fee. 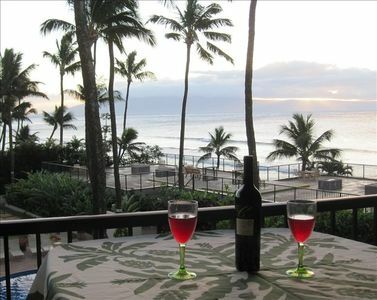 Concierge Realty facilitates vacation rentals. 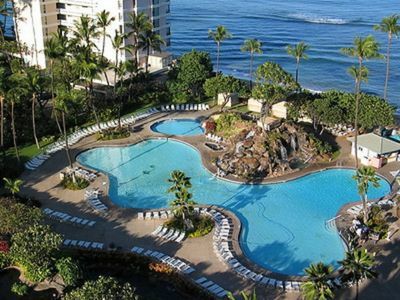 Any issues with resort service, accommodations, physical plant, amenities, etc. are the direct responsibility of the developer/resort and must be handled through the resort, not Concierge Realty. 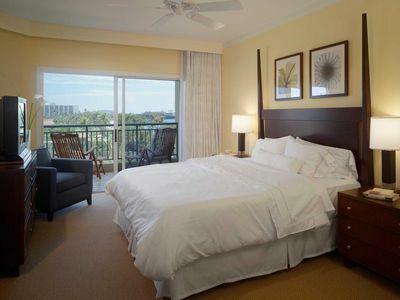 Photos are approved by the developer and, therefore, are thought to be truly representative of the resort and accommodations. Any variation from the photo and actual property or premises are unintentional. Any disruption including but not limited to renovation, amenity not available, change in decor, etc. 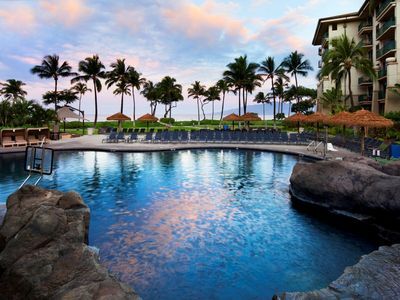 during the stay, whether known to the resort prior to reservation, occurring during the stay or announced after confirmation, is a matter strictly between the guest and resort and do not merit a charge of deceptive advertising or breach of ethics. 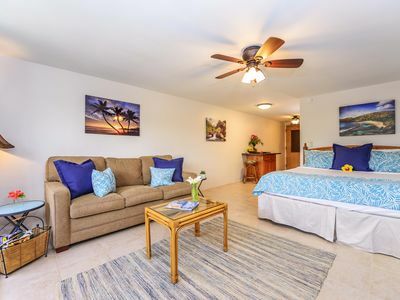 Note that the photos shown are representative of villas at the resort and that a specific view type is not implied nor promised by virtue of the images shown. 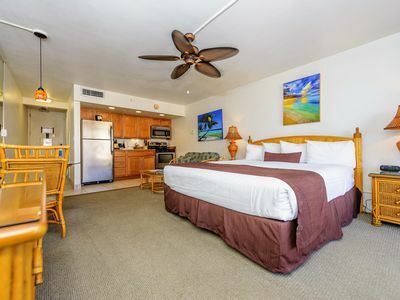 Specific view categories must be addressed with rental agent and will be guaranteed as view category in the rental contract and resort confirmation. Issues regarding view within the guaranteed view category are to be addressed with the resort and representatives as Concierge Realty facilitates villa rentals and is not responsible for villa placement or view once the reservation has been confirmed. 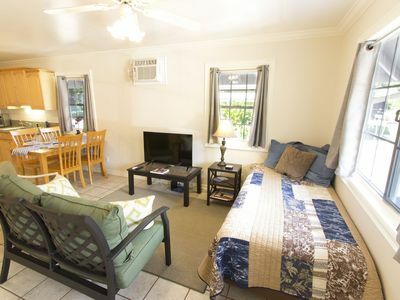 Private Home; Walk to the Heart of Lahaina Towns Shops, Restaurants, and Harbor! 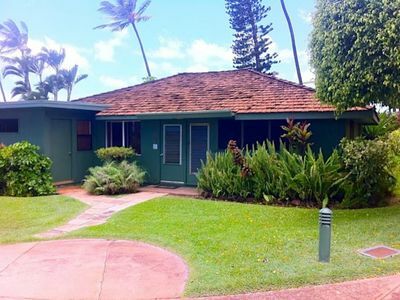 Kaleialoha 202 New Fall Specials! Steps from the Sea! Mountain View Studio! 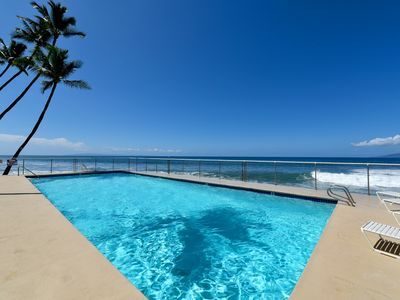 STUNNING GROUNDFLOOR OCEANFRONT CONDO - 5 STARS - LAST MINUTE SUMMER SALE! 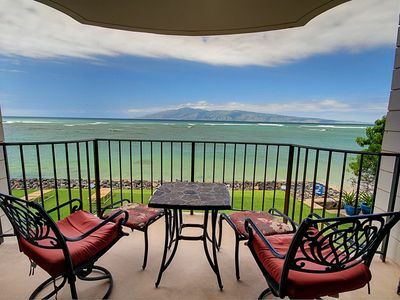 Awesome sunset views, on the corner, ocean front in downtown Lahaina. 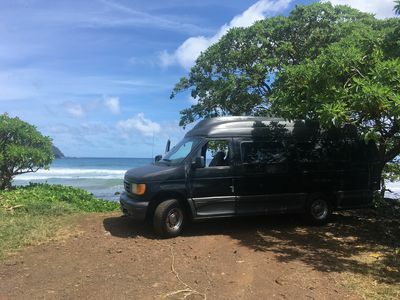 Decked out van for rental! 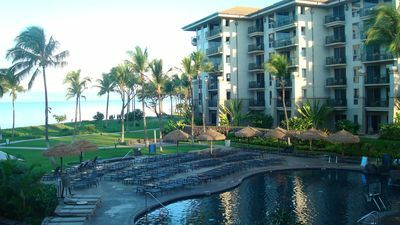 Royal Kahana 702 - Studio Ocean view Condo!